Register for instant access to our demonstration site, and make a hands-on evaluation today. 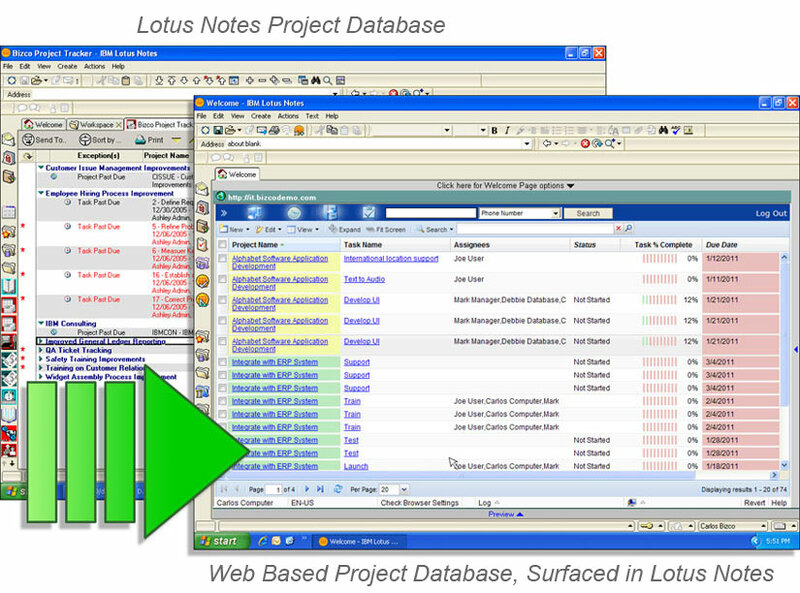 As a Lotus Notes database replacement option, TrackerSuite.Net reduces the impact of transition by allowing users to surface new, 100% Web based applications within the Lotus Notes client they are familiar with. Organizations typically consider migrating away from Lotus Notes to Web based applications due to the speed and flexibility that Cloud based services offer. Replacing the functions of their existing Lotus Notes databases, such as Project and IT Services. Security of data. For many organizations, the promise of speed and convenience that the Cloud offers is tempered with concern about moving data from local storage to the Web. TrackerSuite.Net offers organizations considering a replacement initiative for Lotus Notes several competitive advantages. TrackerSuiter.Net is based on the award-winning, Lotus Notes based Tracker Suite application package. TrackerSuite.Net modules for Project Management, Help Desk, Asset Management, HR, Time and Billing, Purchasing and CRM are all based on highly successful Lotus Notes modules. Automation Centre leverages its extensive experience with the Lotus Notes platform in migrating data to TrackerSuite.Net. For organizations where security requires the internal storage of data, Automation Centre offers a licensing option where organizations may install TrackerSuite.Net within their own infrastructure. TrackerSuite.Net source code is included with license, allowing organizations the option of utilizing their own development resources to customize TrackerSuite.Net to the organizations exact needs. For more information about TrackerSuite.Net and its capabilities for replacing Lotus Notes databases, please contact Automation Centre today at (520) 882-9287, or email Info@Acentre.com.